Security vendor McAfee has hit out at Microsoft 's claims that it has been cooperating with security vendors over Windows Vista . As previously reported, Microsoft has announced it will allow other vendors' applications access to PatchGuard, the part of Vista that denies unauthorised access to the Windows kernel. Microsoft will also enable third-party applications to disable alerts from the Windows Security Center. Both these alterations to Vista were agreed with the European Commission to prevent further lawsuits hinging on accusations that Microsoft is anti-competitive. Siobhan MacDermott, vice president, worldwide corporate communications at McAfee, has rubbished Microsoft's claims, however. MacDermott told us the company did receive a document from Microsoft yesterday but that it only contained the Software Development Kit (SDK) for Windows Security Center. "We continue to have questions pertaining to this document and have asked Microsoft for meetings and/or additional clarification about what it has sent us," said MacDermott. "To date, we have not had any cooperation from Microsoft and no response on McAfee's repeated requests to review the information." McAfee clearly isn't happy, despite Microsoft clearly having made some attempt at cooperation by sending out an SDK. But its criticisms of Microsoft don't end there. "Contrary to what it says publicly, Microsoft has not cooperated with the leading security providers," added MacDermott. "We have not received anything at all from Microsoft concerning PatchGuard." Perhaps Microsoft simply hasn't got around to emailing McAfee the SDK for PatchGuard yet. Indeed, Graham Cluley of Sophos yesterday told us his company had found were "no problems" with PatchGuard in any case. 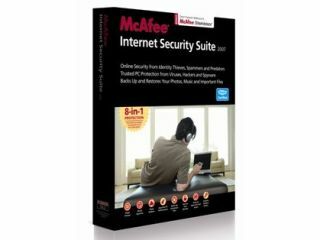 But McAfee clearly isn't happy just to leave it at that. "From McAfee's perspective, it is not at all acceptable for Microsoft to wait until a Service Pack and not offer us kernel access until after the launch of Vista," says MacDermott. "We urge Microsoft to give security vendors this access as quickly as possible and not wait until the 11th hour, so that we can offer our customers the best protection." We're awaiting a further response from Microsoft on McAfee's accusations, but dispatching such cutting remarks hardly seem the way to get into the good books a company you want to have a constructive dialogue with.